In the northwestern corner of the U.S., up along Puget Sound, dairy farmers in Whatcom County, Washington, depend on their forage stands not just to feed their cows, but also to utilize the nutrients that steadily build up — along with three to five feet of annual rainfall — in their manure tanks. Honcoop’s boss, Kevin Elenbaas, points out that the need to manage manure puts pressure on local dairy farmers to keep forage stands healthy. Small spaces. Just outside of Lynden, Chad Postma milks 198 Jerseys and farms 48 acres of grass. Every one of those acres has to be pulling nitrogen and phosphorus out of the ground vigorously to keep Postma in line with his state-mandated nutrient management plan and prevent excess nutrients from polluting local streams. Without his forage crops’ nutrient-to-biomass conversion, he would have to pump manure as far as two miles via dragline to neighbors’ potato and corn fields. To boost biomass, Postma overseeded an old mixed grass stand with festulolium, a hybrid of fescue (Festuca) and ryegrass (Lolium). In the first year of his enhanced stand — a process festulolium breeder DLF trademarked as “grasshancing”— he cut more than 10 dry matter tons per acre and utilized more than 70,000 gallons of manure. This year, he’s aiming for 14 tons. Festulolium’s key advantage is its seedling vigor, notes Elenbaas. Drilled in the early spring or even in the fall, festulolium seedlings are aggressive enough to compete with established grass, he notes. It’s longer-lasting than orchardgrass and more palatable than fescue, though he and Postma note that — reflecting its ryegrass parentage — festulolium can be slow to dry once it’s been cut. Terry Lenssen says palatability and nutrient value place festulolium over fescue in his book. 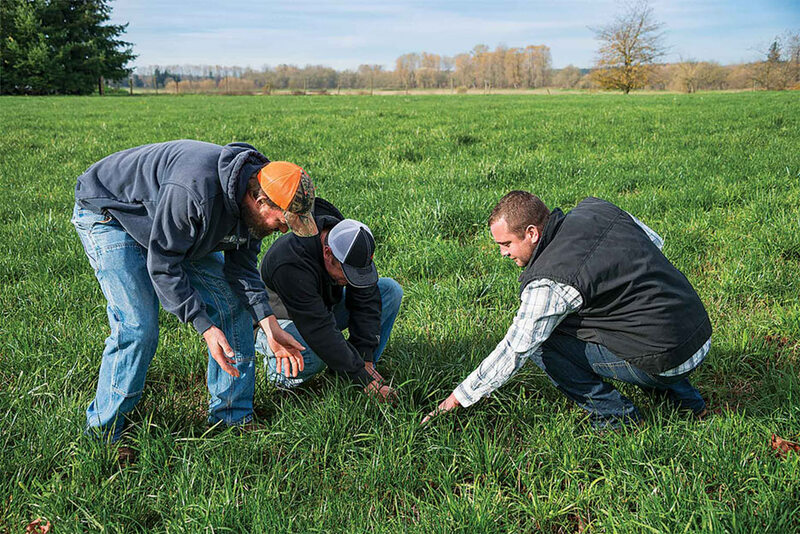 He and his brother Troy have overseeded three fields with festulolium on their 710-cow, 500-acre operation near Lynden. Terry Lenssen extends tired stands for three years by drilling in festulolium. 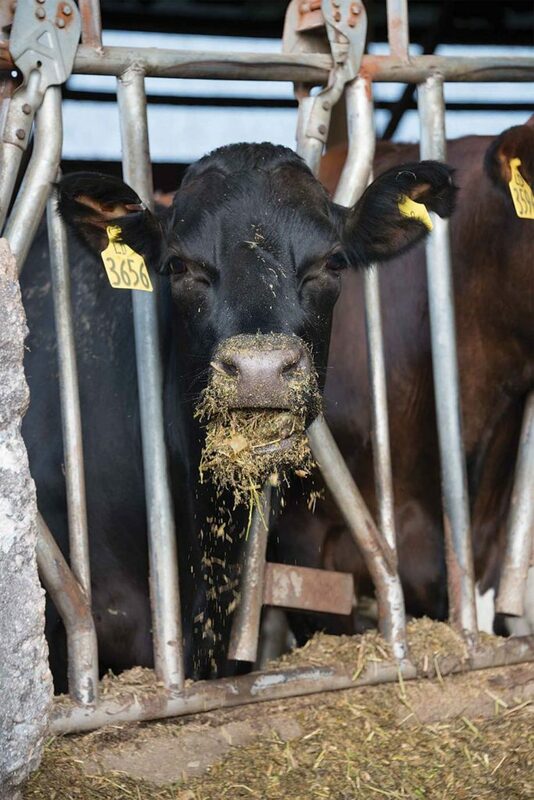 Where most of the Lenssens’ forage contained 14% crude protein last year, their festulolium packed 22%. Lenssen adds that the festulolium will utilize as much manure as fescue, though the longer-season festulolium tends to require more irrigation. Versatile. Festulolium isn’t just for the Northwest. At the University of Nebraska-Lincoln, Extension forage specialist Bruce Anderson says the hybrid performs particularly well in irrigated pastures in his state. Though he notes that festulolium has been used in Nebraska to refresh thinning alfalfa stands, Anderson prefers to see fresh stands of festulolium drilled into a firm seedbed in April. Because festulolium’s fescue parentage can include meadow fescue or tall fescue and the ryegrass side could be from annual or perennial ryegrass species, there is a range of varieties. 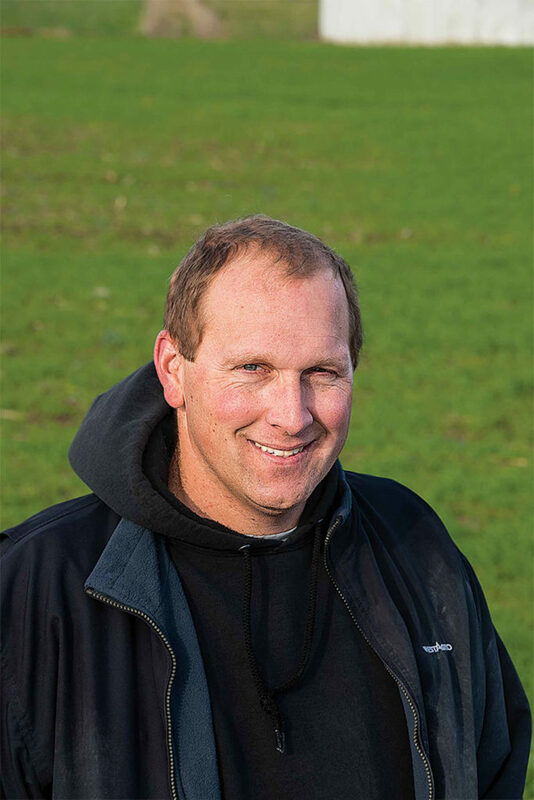 To Terry Lenssen, a hybrid called Perseus that combines meadow fescue and annual ryegrass traits offers a good way to cut costs on forage. Farmers and researchers are focused on higher yields.